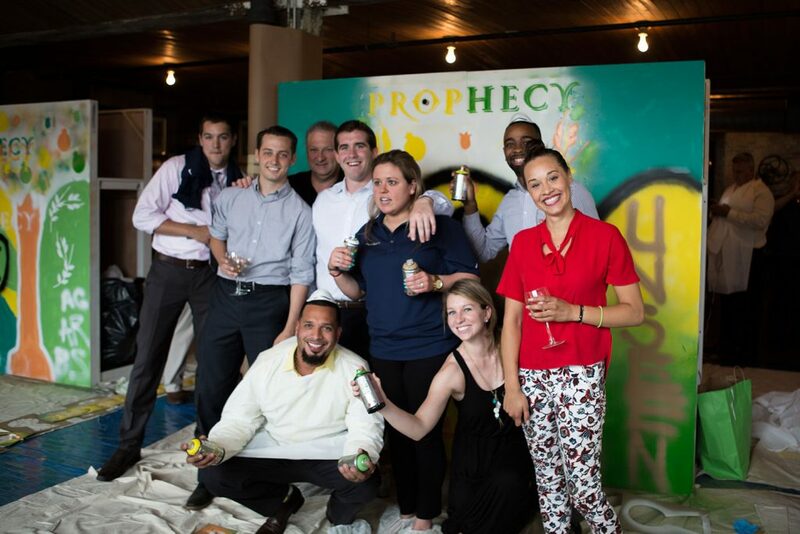 We recently worked with E.&J. 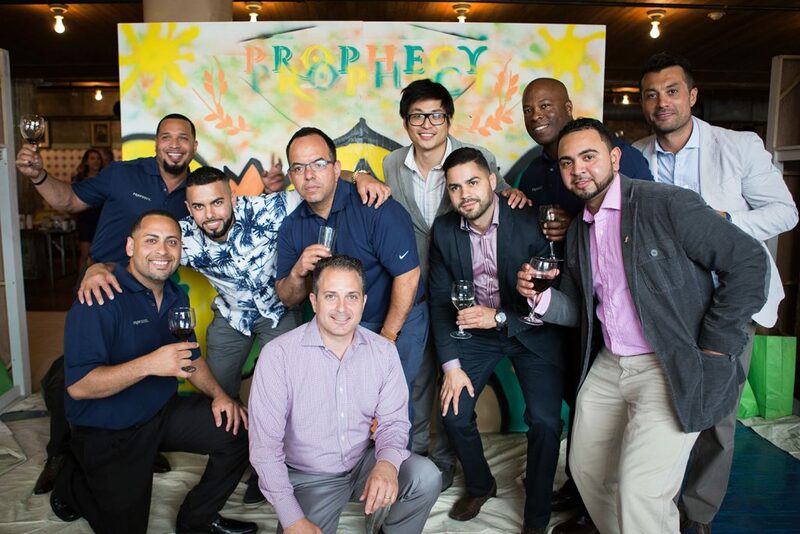 Gallo Winery (Prophecy Wine) on a corporate workshop/team building event for their sales teams in multiple cities (New York, Hoboken, Chicago & Boston.) 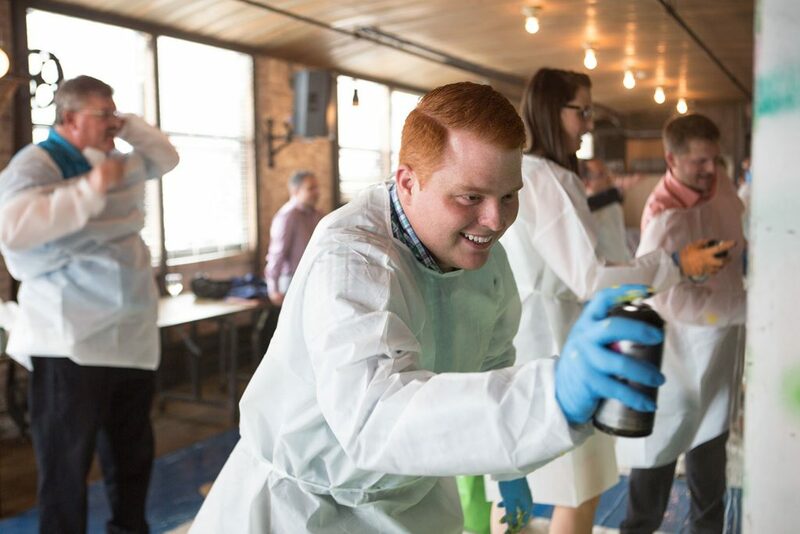 For all of these 90 minute activities, we provided fabricated walls/canvases and supplies for multiple teams to compete in a fun and unique street art challenge! 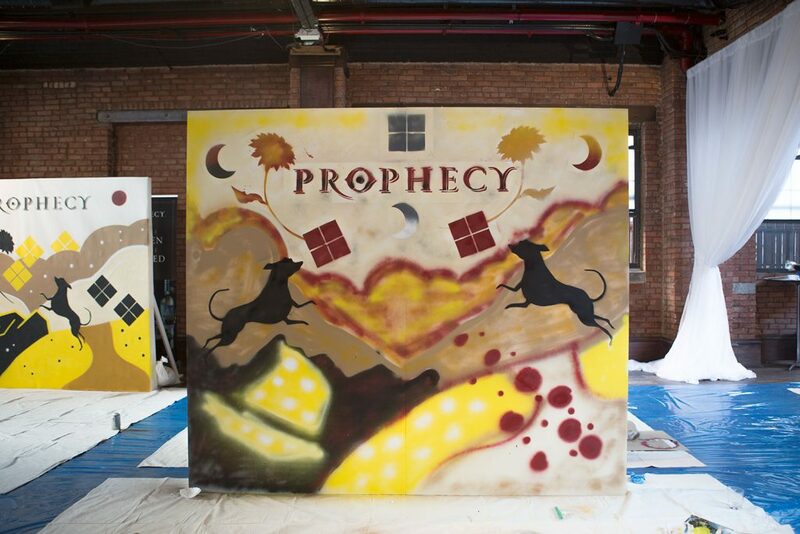 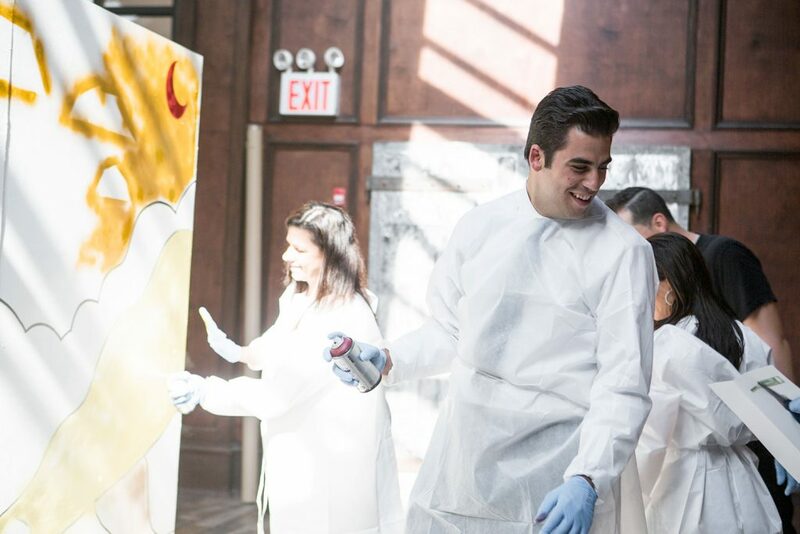 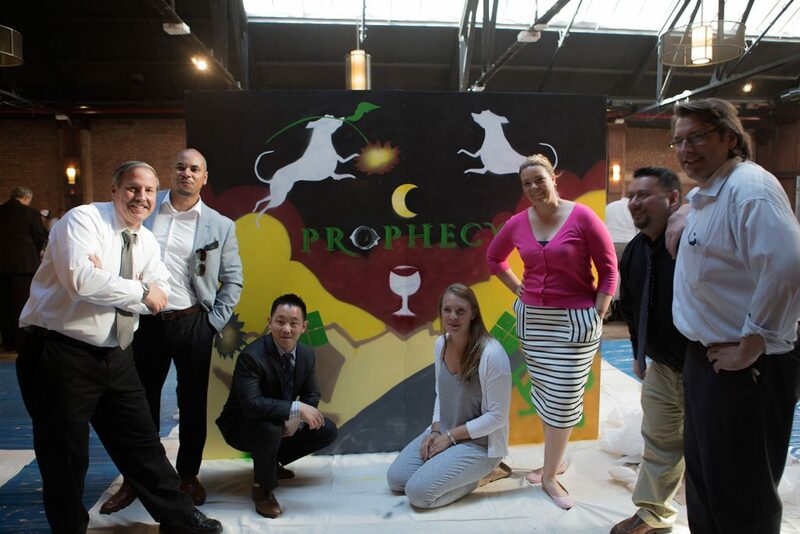 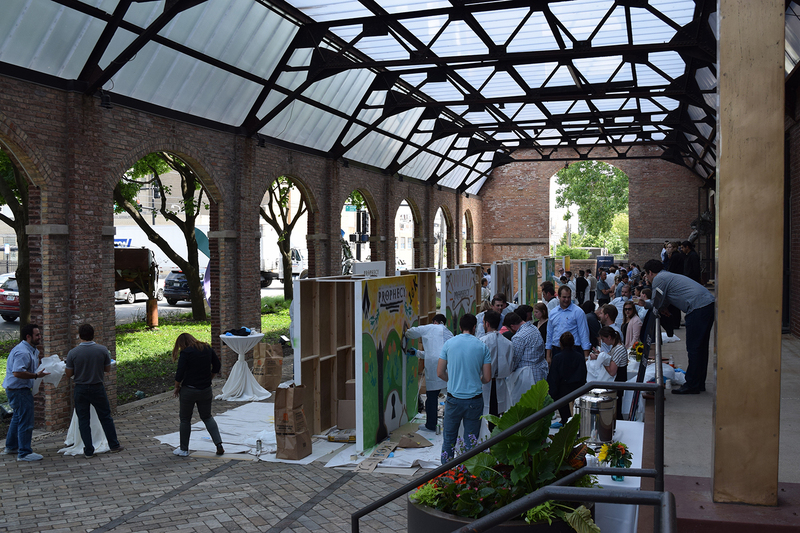 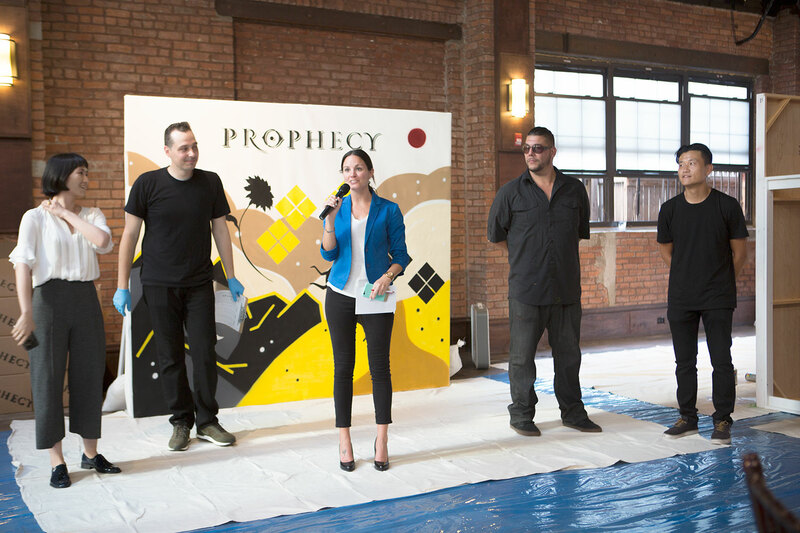 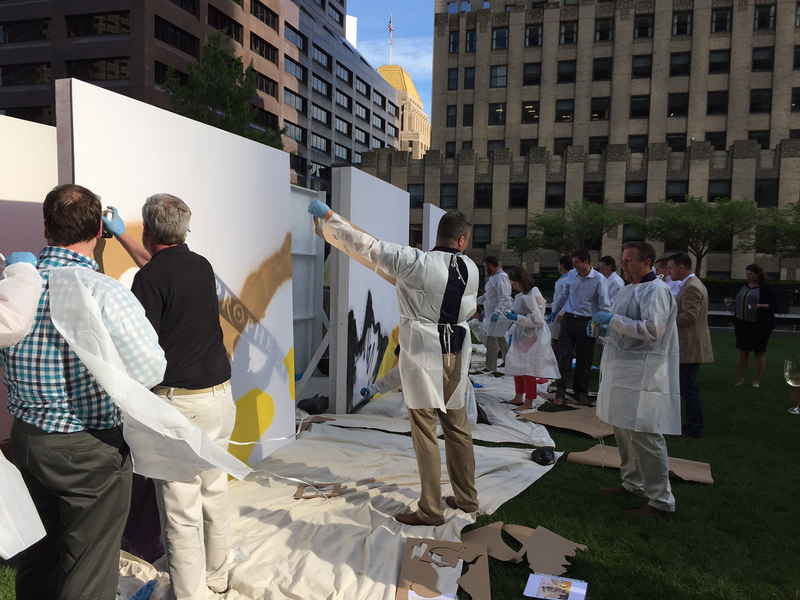 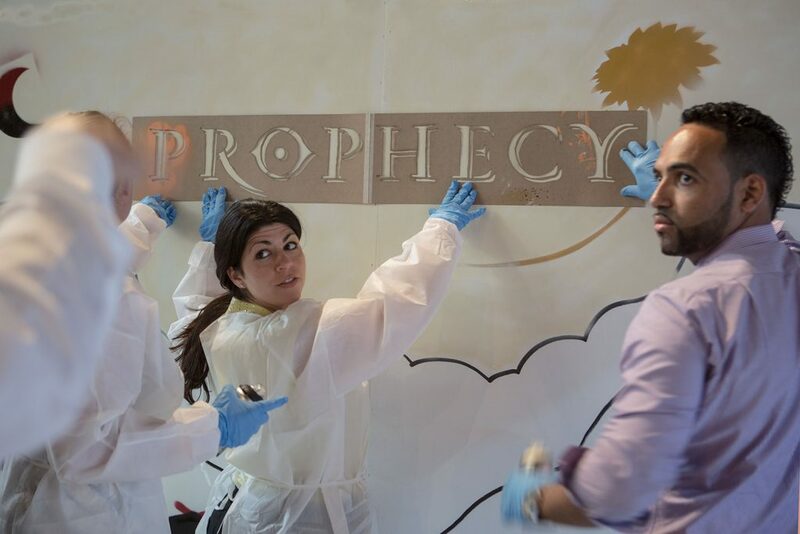 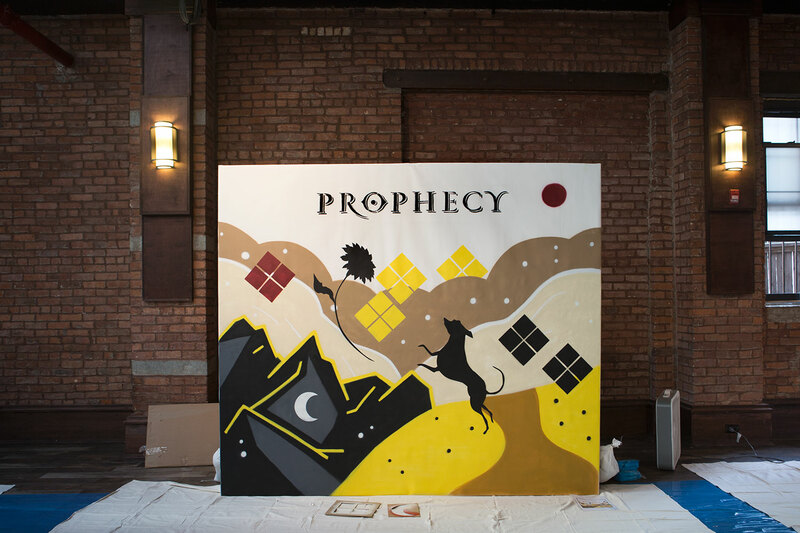 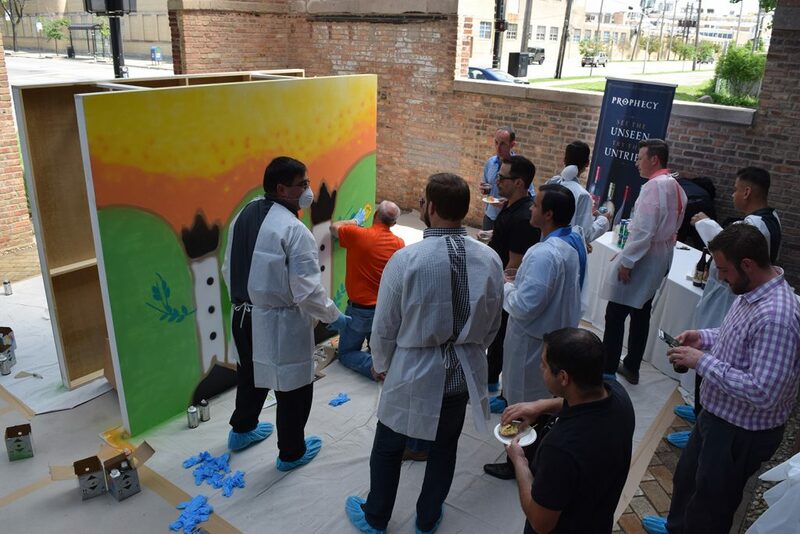 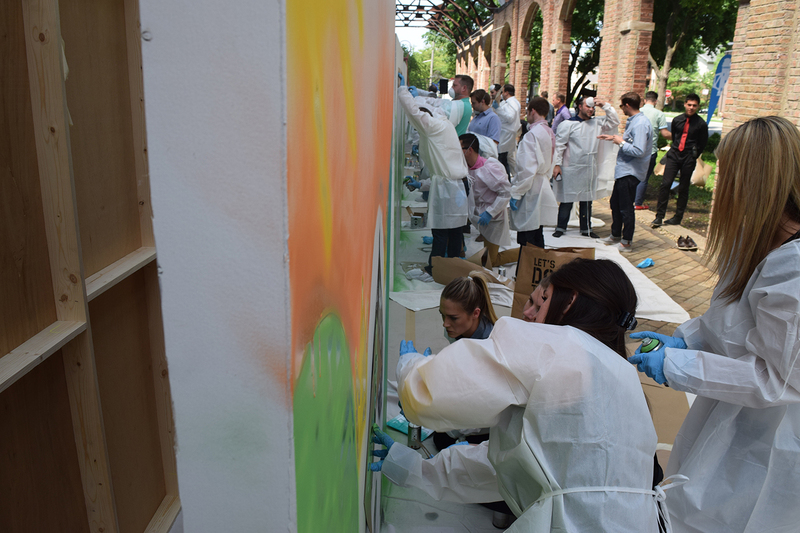 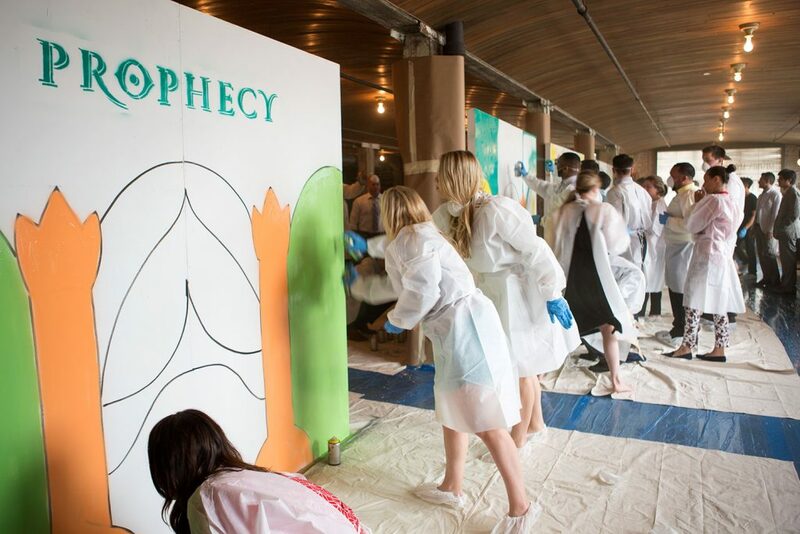 Prior to the event, our Graffiti USA teams created custom murals based on the Prophecy wine label that each team was to try to mimic to the best of their ability within 45 minutes. 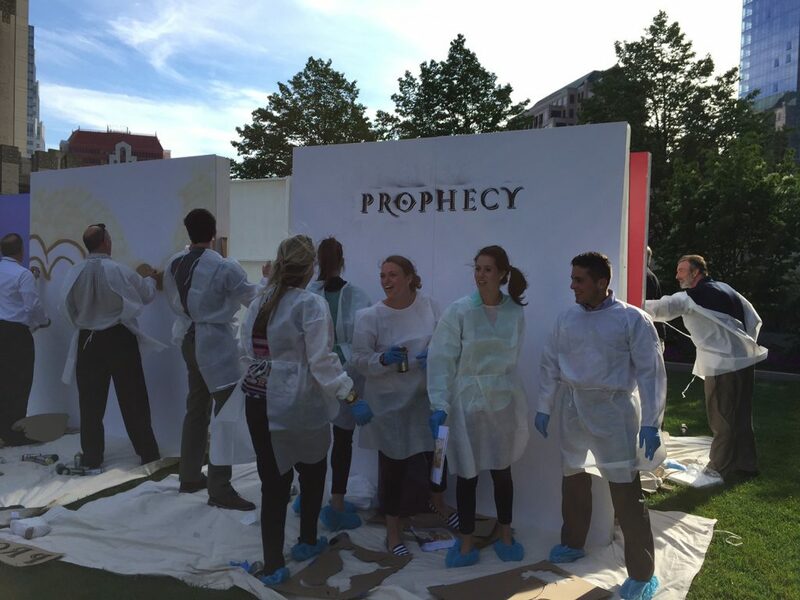 We provided all the resources for each team including water based spray paint, stencils, protective gear, etc. Using these supplies, each team was able tto create the same piece that we painted. 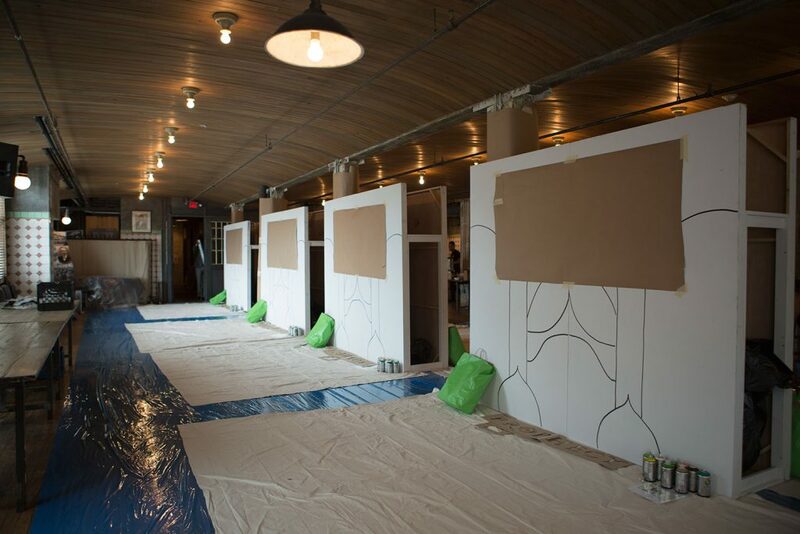 However, we encouraged creative freedom in terms of colors/layout. 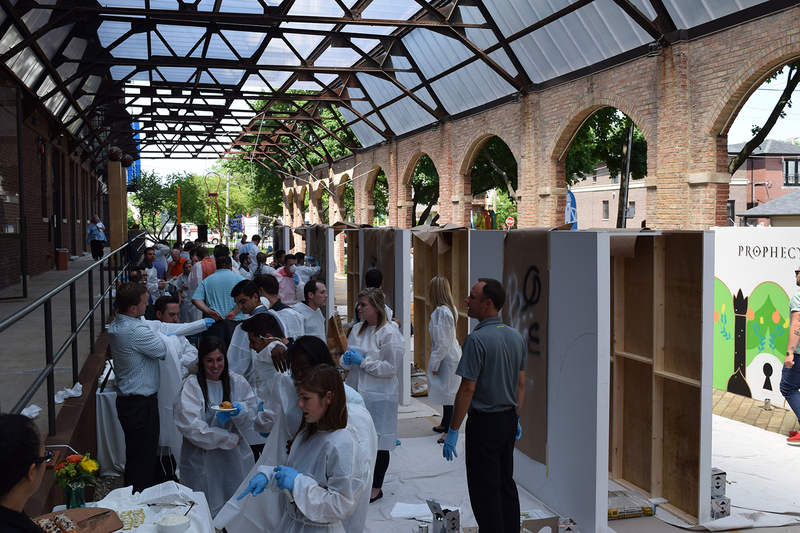 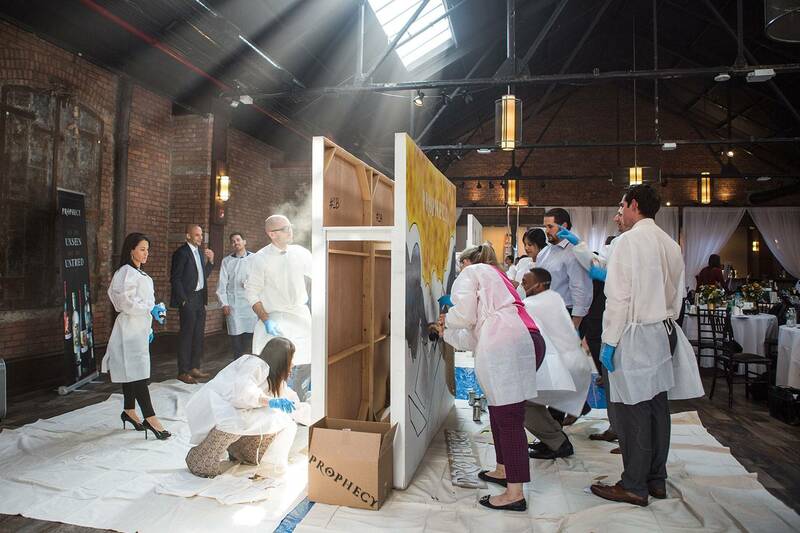 At the end of the event, each team was judged on CREATIVITY, TEAMWORK and EXECUTION. 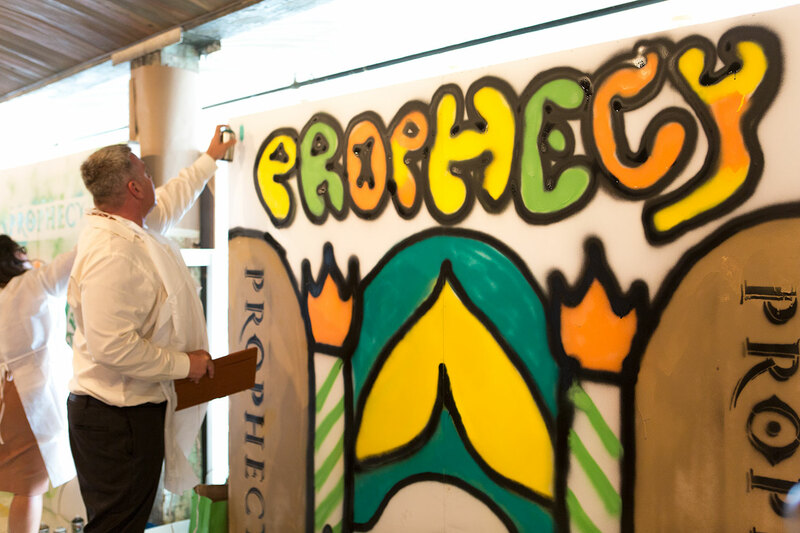 Note: Our graffiti/street art workshops can always be tailored to your company’s needs.